5940 Smith Lake Road Mount Pleasant, NC. | MLS# 3421557 | Provident Living (704) 609-5362 - Jean Griswold - Your Trusted Real Estate Advisor - Call Jean for all of your real estate needs. NEW ROOF in Oct 2018 – on both house and garage/workshop! 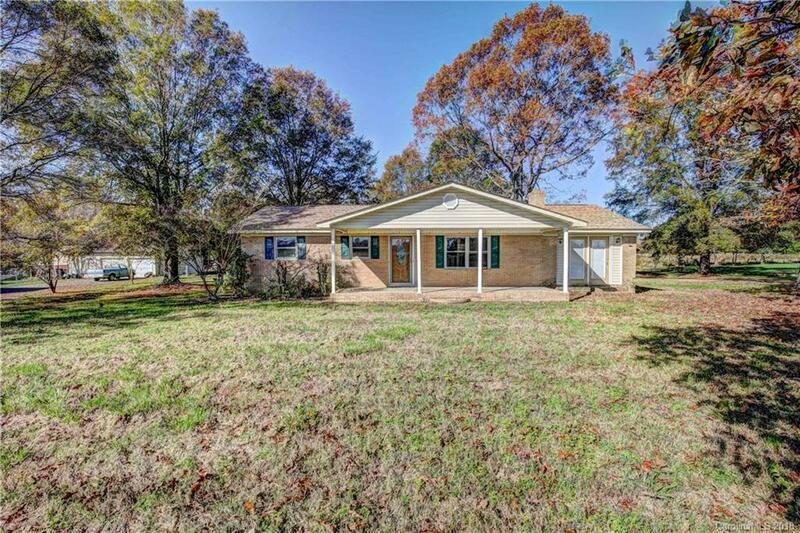 Country living, but close to downtown Mount Pleasant and an easy drive to Concord or Albemarle. Acre+ lot has plenty of privacy! Rocking chair front porch. Wood-burning fireplace insert in main living area; wood stove on adjacent wall in den/playroom finished area. Spacious kitchen – open to main living area. Unique 166sf unheated sitting room/sunroom off the master bedroom (it used to house a hot tub) opens to rear yard. Carpet has been removed in playroom, hallway, and all 3 bedrooms – floors are kilz’d and ready for buyer to add flooring of their choice. HUGE 1118sf detached garage/workshop has its own full bathroom – perfect for the car enthusiast! Separate 694sf carport/barn area behind garage. TLC is needed; this is reflected in the price. Not available as VA, FHA, or USDA – sold “as is” - the BR Trustee cannot make any repairs. BANKRUPTCY ESTATE; acceptable offer can usually close in 60 days.